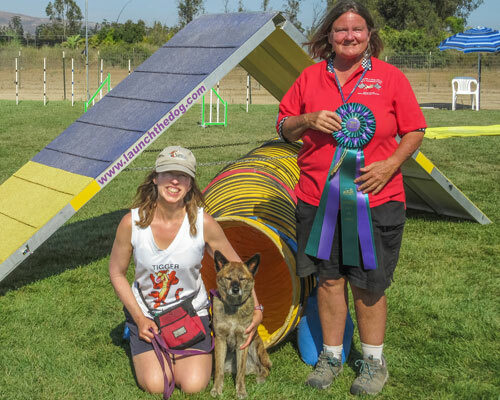 Maureen Hughes and Tigger received their USDAA Lifetime Achivement Platinum in November 2017 ! They earned 50 P3 Q's in each titling class (Gamblers, Standard, Snooker, Pairs, Tournament and Jumpers). and 500 qualifying scores overall!. Visit the Our Dogs page for more photos!